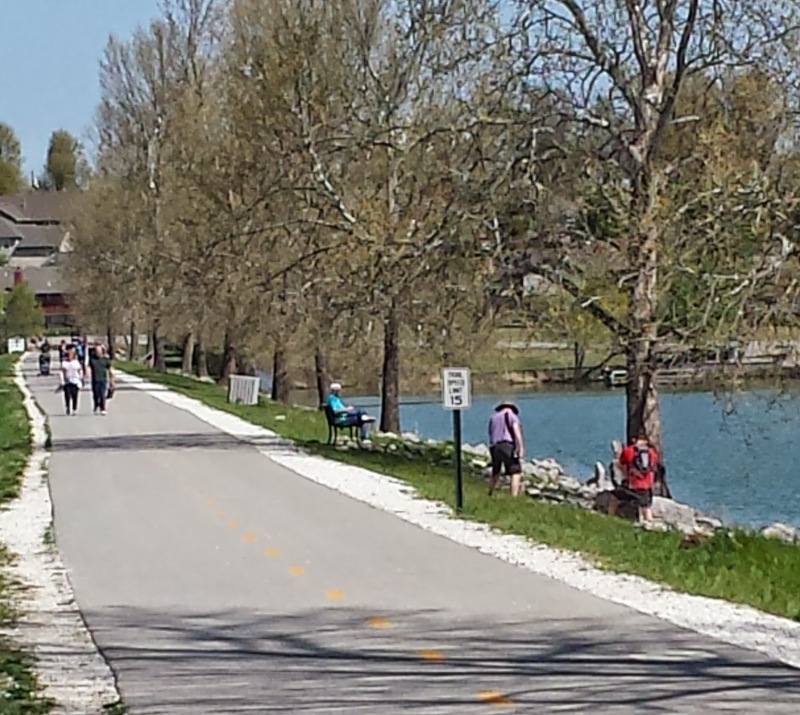 When visiting my parents in Fayetteville, Arkansas, I enjoy walking the trails around and near Lake Fayetteville -- usually with a couple of dogs in tow. 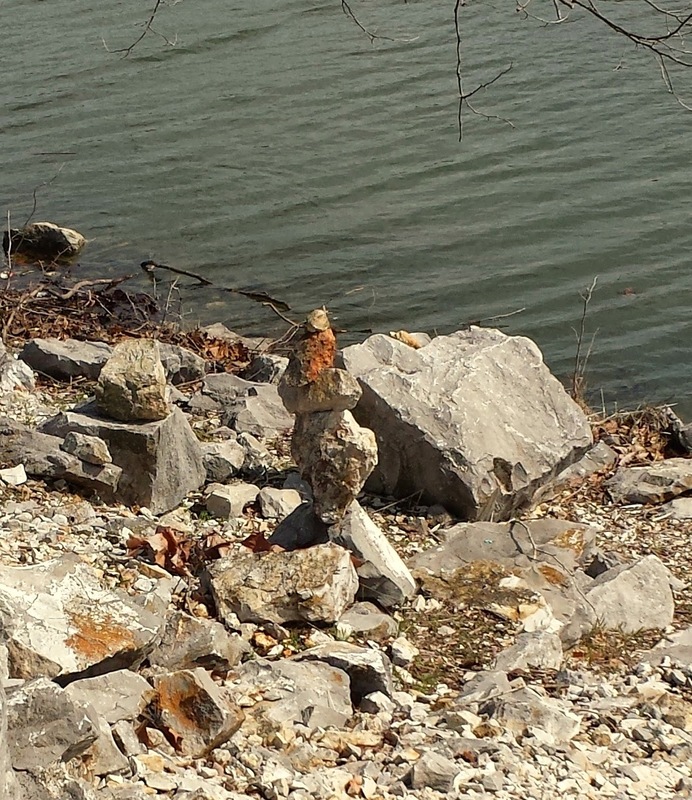 Making the walk sporadically during the last six months, I have come to appreciate the Rock Artist of Lake Fayetteville. 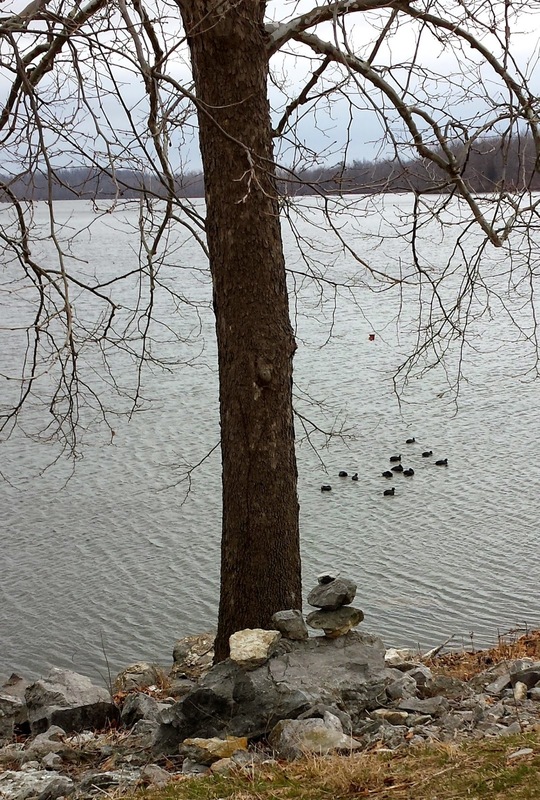 This artist's studio is the lake's west embankment. His medium is rock. 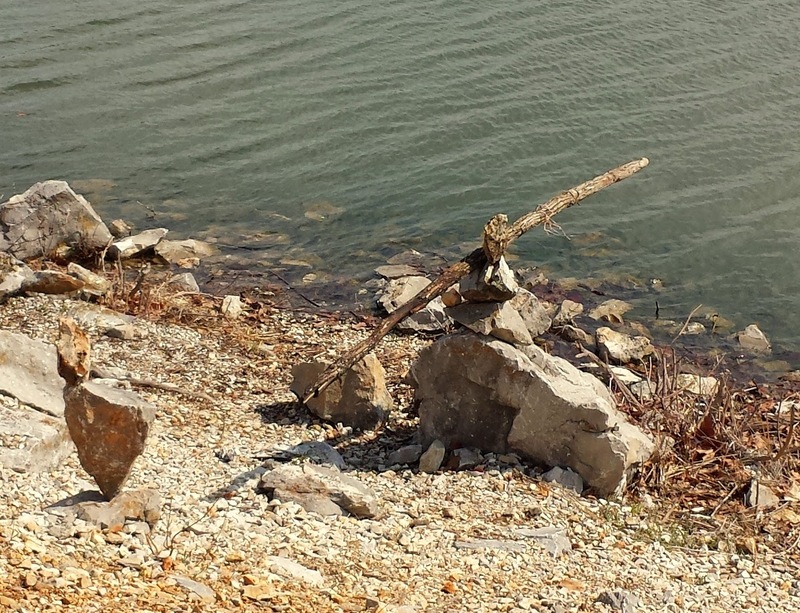 His art consists of stacking or balancing rocks of different sizes, shapes, textures, and colors to create different visual impressions. 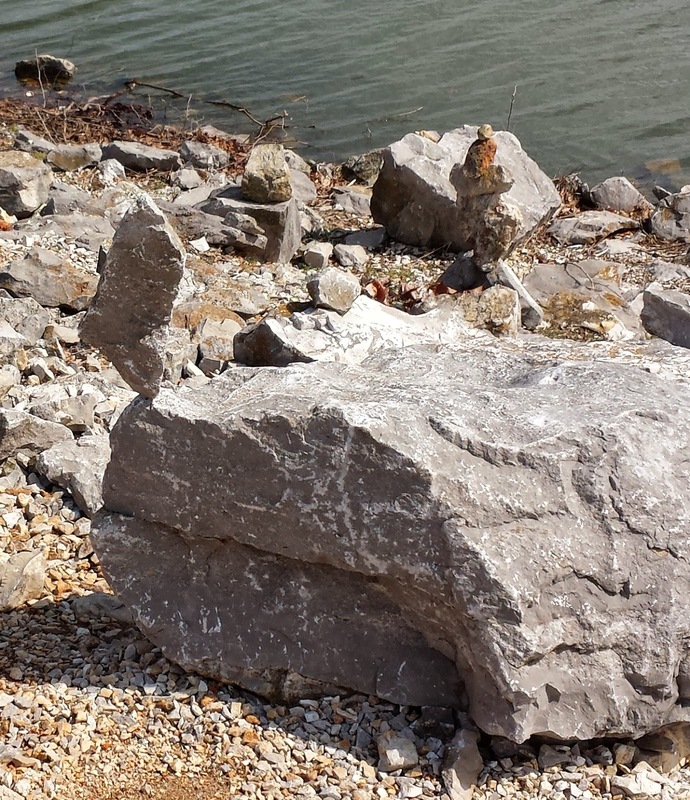 The Lake Fayetteville rock art does not melt, but it may -- as with sand paintings -- be blown away. Or, perhaps vandals or rampaging kids delight in dismantling them with a kick. Whatever happens to the rock sculptures, they do not remain in place very long after they are created. 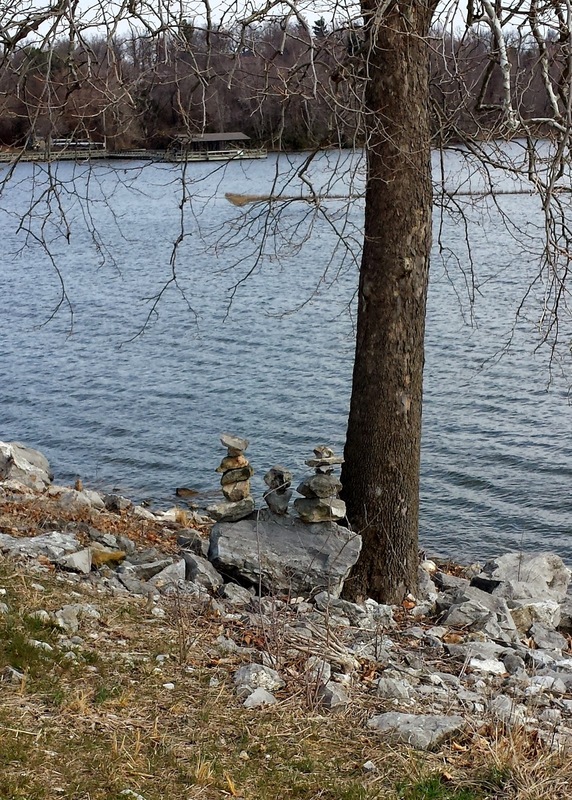 Though I have not spoken with the Rock Artist of Lake Fayetteville, I have walked pasted him when he was at work. 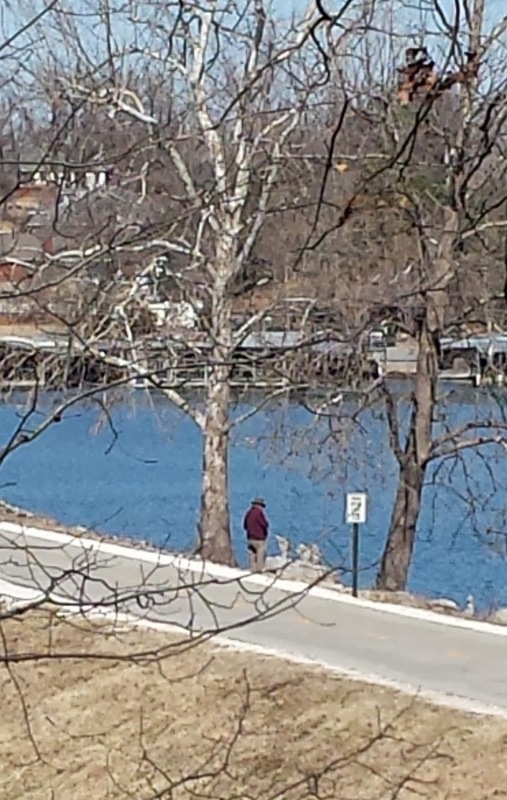 He was intensely focused on his work, and I did not want to disturb him with questions or conversations. Though the rock art is transitory, I have noticed that the artist takes pictures of his creations. In that way, he is able to appreciate his sculptures long after they have disappeared from view. 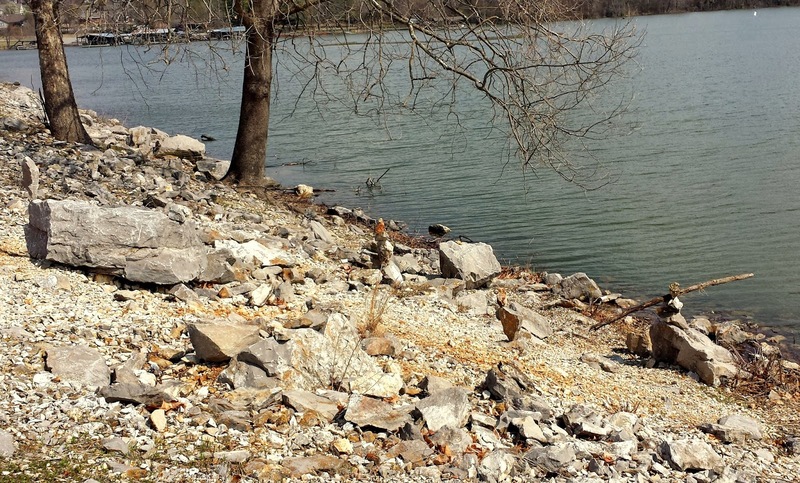 The next time you are walking the trail around Lake Fayetteville, keep a watch for the rock art as you enjoy the lake and its creatures. 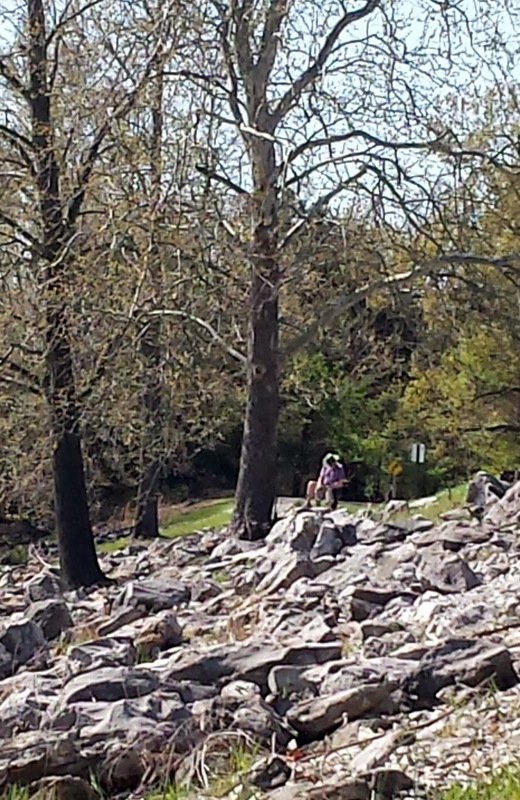 The following are some pictures that document the Lake Fayetteville rock art and the artist who creates it. In the Tarkovskiy's "Mirror" there is a scene, where vapor vanishing from the surface of a mirror. It's my association.